This is going on for quite a while already and i thought i'm gonna post it here now. 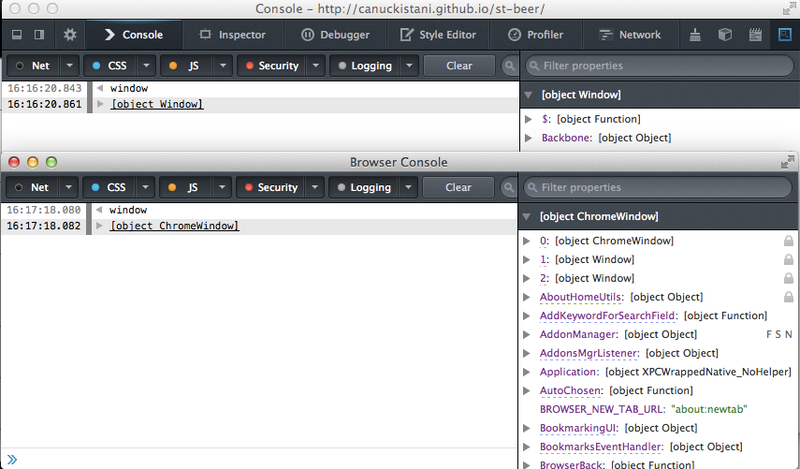 Pretty often (but not every time) when i visit et.trackbase.net my browser freezes and i have to kill the firefox.exe process in the task manager and restart it to make it work again. Since et.trackbase.net is the only site where this happens, i guess it's not a problem regarding my browser/addons, but a little flaw in the website. Does anyone have simlar problems or an idea what's causing this? I've heard of this kind of problem but never have I received any detailed information. Could you please name me your browser version, os (+version) and page you are accessing + whether you're signed in or not. Also something that would be important would be your network and console information while loading the page. Could you please open the network tab and console tab and load the page. Do you see any errors or weird actions going on? Then tell us. I'm using firefox (always the newest version, i think it's 49.0.2 atm) on a windows 7 64bit. Sometimes it happens right after visiting the starting page et.trackbase.net, but sometimes it also happens after i open the link to a server page and sometimes it doesn't happen at all. Usually the first thing I do is logging in, so i don't know if it would also happen when i'm not logged in. In the network tab i can't see anything weird right now (but atm the site is working fine), i'll try to keep an eye on it the next times when i visit the page. I'm not completely sure about that but i think this mostly happens when i try to scroll down before the page is fully loaded, but as i said previously it doesn't happen everytime. So i'm not sure if this has anything to do with this or is just a coincidence. PS: i just noticed i posted this in the bugs&feedback subforum for tournaments&ladders instead of the normal one, maybe it could be moved? Something that would still be awesome would be a look into your console tab while loading the page. Also interesting would be to know if it happens to you in other browsers. PS: Moved to correct forum. So far it only occured on firefox, i also use chrome sometimes but there it does not happen. Besides noscript, which i only use on firefox both browsers also have the same addons (on noscript i allow trackbase.net and tbstatic.net, only ajax.googleapis.com and google-analytics.com are forbidden, so that shouldn't be the problem either). I'll try to remember making a console screenshot the next time when it happens, but as it doesn't happen everytime this might take a few days. When this doesn't help either, please send me the screenshot when it happens again. Is there any chance it could be your browser / pc itself? I got to that idea since you should always be able to open the console. You can however always take a screenshot of the site, so I can see how it looks like. P.S. : If it's not too much trouble, try uninstalling your browser completely (even get rid of the folder in c/program%20files) and download+install the latest version again. In both scenarios i have to kill the process to be able to use firefox again. Will make a screenshot of it next time too. I'd prefer if it's possible to be fixed without reinstalling the whole browser, cba to save all of my bookmarks etc. i'm mainly online in the evening from ~18:00-24:00.